National Trust director-general Dame Helen Ghosh told visitors to BBC Countryfile Live, Oxfordshire, farmers had been forced to chase short-term profits, ‘damaging long-term agriculture and dwindling wildlife’ in the process. Fending off the suggestions, the NFU and CLA said there was no question over UK farmers’ desire to protect the environment, but highlighted the inherent problems with the Countryside Stewardship scheme and delivery of support which had seen many pulling out. CLA president Ross Murray said: “This is not happening because farmers are becoming less concerned about the environment. “Unfortunately, the experience of Countryside Stewardship has been too much hassle for too little reward. It is thought the £200 million funding package for rural broadband, new equipment and farm productivity measures announced by Defra last week was made up of money which had become available because of Countryside Stewardship’s unpopularity. Dame Helen Ghosh called on Government to provide clarity for farmers before EU cash dried up. “We have already seen examples of short-term decision-making where farmers, in response to uncertainty about the future and income, have ploughed up pasture which was created with support from EU environmental money,” she said. While acknowledging Brexit provided an opportunity to reward ‘nature-friendly agriculture’, she warned the countryside faced a decade of damage unless Government acted. Farmers Guardian understands the National Trust has been made aware of at least two cases of land being returned to agricultural use, but NFU vice-president Guy Smith was reluctant to draw too many conclusions, saying it was not clear what people were doing with their former stewardship features. He said: “This is anecdotal so we need to look at some proper survey work. “However, what we do know and what we are concerned about is three-quarters of the people coming out of Entry Level Stewardship [ELS] and Higher Level Stewardship [HLS] are not going back into Countryside Stewardship, so there will be people who may be ploughing up some part of an HLS or ELS scheme. 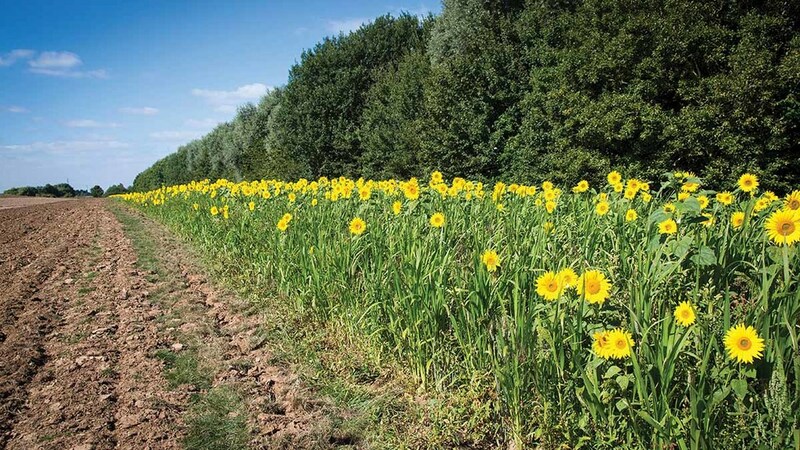 A Natural England spokesman said Countryside Stewardship applications increased by almost 45 per cent last year and the process of applying had been made simpler.